We’re not going to spend three hours in the blazing sun taking photo after photo of forced smiles. Hell no! There are just two ingredients to a successful shoot: good lighting (I’ll take charge of that, thanks), and enjoying the moment (this is where you come in). I’LL BE THERE, HALF NINJA, HALF BEST BUDDY. Part of the time you won’t even know I’m there, so I can capture those little moments of complicity, bursts of laughter, furtive hugs… And part of the time I’ll be there to reassure you, make you laugh, toast to your love and – above all – soak up the atmosphere so I can reflect it as faithfully as possible in my work. If I could give you just one piece of advice for your day, it’d be this: be yourself! Forget the traditions and the customs and just do what you want to do. Believe me, I’ve had enough experience: those are the days that work best. When you want to immerse yourself in your memories in the years to come it’s these photos you’re going to dig out. Don’t neglect your choice of photographer! A big dollop of love and one devoted photographer! 5 prints 10*15 and a surprise ! A big dollop of love and one devoted photographer (again)! 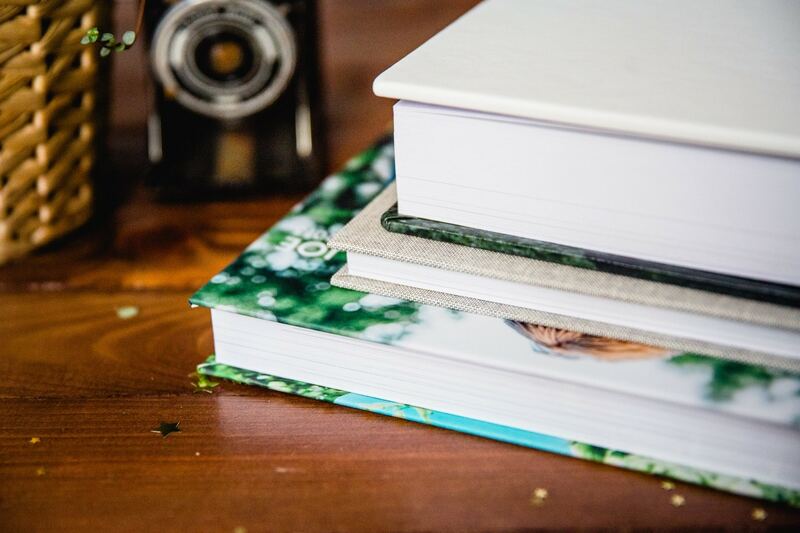 I’m 100% certain that memories languishing on an old hard disk are never as good as a beautiful photo album or even just a print stuck on your fridge, so I’ve tracked down the very best suppliers. The albums I have to offer you are made in Europe and reserved exclusively for professional photographers. 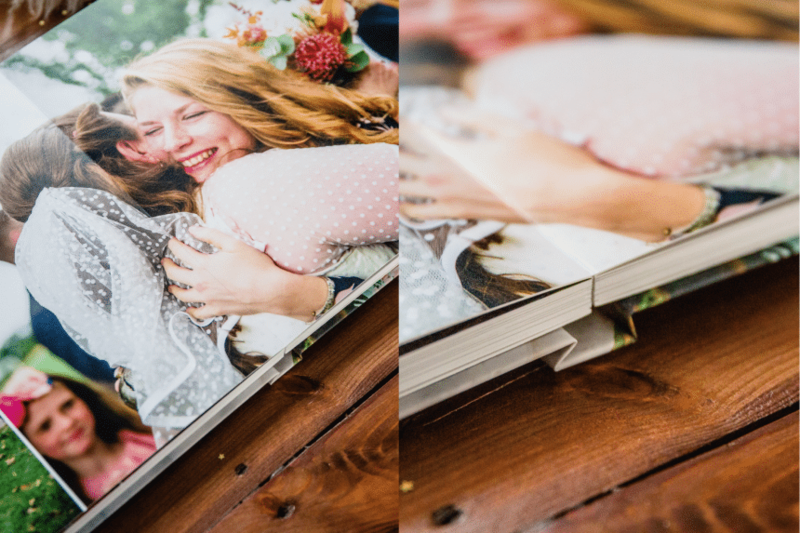 They open out totally flat, so every centimetre of each double page can be used. The quality of the photos is excellent and the design is super modern. I have a few demo books available, and some samples: just ask me! 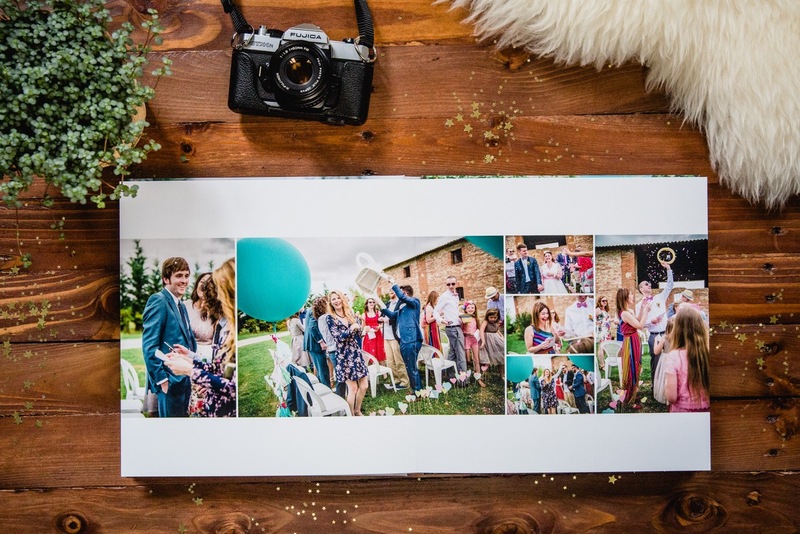 The same is true for the prints: they are produced by a photo lab in Toulouse with really high standards when it comes to the quality of the paper and the final outcome. Get in touch and we’ll see what we can do!